Nourishment and rest will be key in the postpartum stage. And just like that we sailed through March and are now in April. This means that Baby Girl will be arriving Earthside soon! Baby showers are done, maternity photos have been taken, Baby Girl’s nursery is almost fully put together with a few final things to finish up before she arrives. To say we are excited would be an understatement. 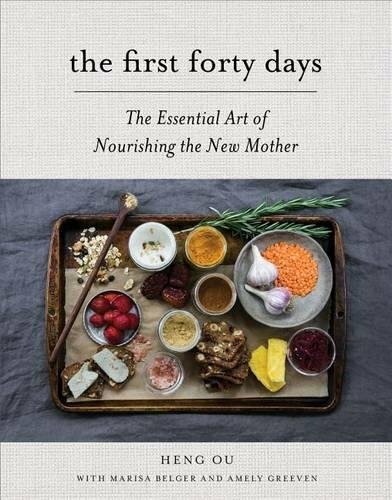 We have started to stock the fridge and pantry for easy to cook meals based off of the recommendations in the book The First Forty Days. We have already tried out a few of the recipes and love the ones we’ve tried. Nourishment and rest will be key in the postpartum stage. Our birth bag is packed, we’ve had two home visits with our doulas, and our birth photographer knows what is meaningful to us to be captured for when she decides to make her arrival. Burrberry is gearing up to be a big brother — he has also had a few weeks of extra puppy play with the arrival of his four legged sister Aurora 🐶. You will find both of them soaking up the sun in the nursery. They are going to be fierce protectors of this little one! We’ve included affiliate links for a few of our favorite things. As always, we only include things we absolutely love and think you will, too!